Get money now! 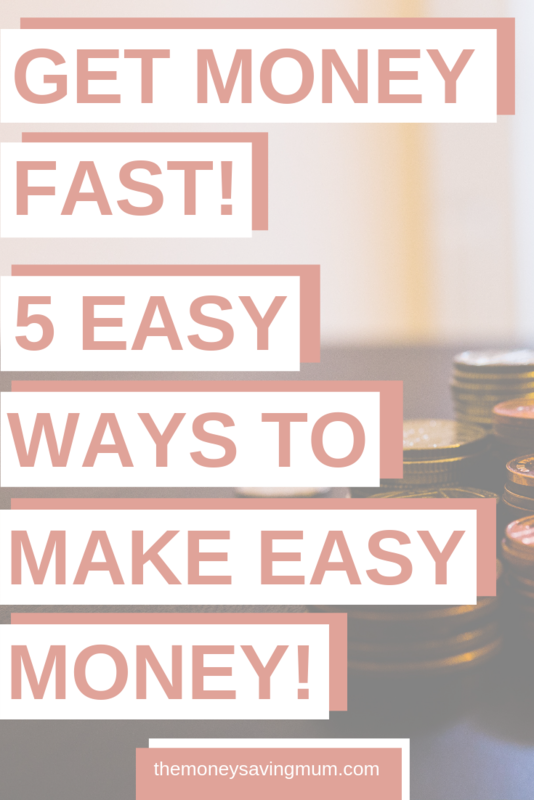 5 easy ways to make money in just one hour! 1.2 Online selling platforms: sell your stuff! The topic I lack the most content on at The Money Saving Mum is money making… crazy because I’ve had my fair share of money making experiences; I can’t save if I don’t make right? 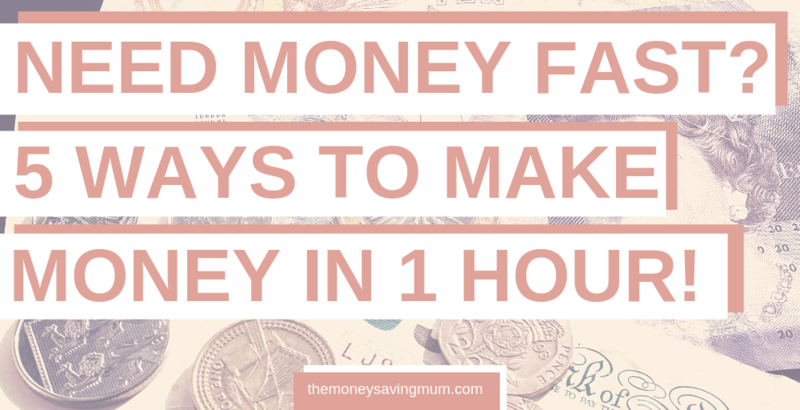 But whether you are in need of some money fast or you just want to top up your savings.. today I’m sharing with you my top 5 ways in which you can make a quick buck using just one hour (or less!) of your time! Although I’m not the biggest fan of matched betting it’s certainly one I have to include in this list because it’s a super easy way of making quick easy money. It’s not the easiest thing to understand.. you will initially look at it and take nothing in! But give it an hour and you will be on it like a car bonnet! Last week when Cheltenham was on I made just under £200 which is no where near what a lot of other matched betters can make but it’s a hell of a lot of money I’m sure you’ll agree! Online selling platforms: sell your stuff! The easiest way to sell these days has to be by utilising Facebook Marketplace. Buyers come to your house with cash and declutter your house at the same time. eBay I’m again not 100% convinced with as to whether or not it’s worth the time and effort you put into selling, packing and posting; but that’s just my opinion. It’s still a viable money maker for some and if you have the time certainly something that can make you money in an hour. Is there something that you can help something else with. How about babysitting, cleaning, washing someone’s car, even baking a cake! You can fit a lot in in one hour and you never know it might bring you more work in the future too! OhMyDosh is my new favourite way of making money online. It allows you to sign up for free trials and get paid for doing so! There are tons of offers and money-making opportunities on here if you aren’t already signed up then be sure to sign up now using my refer a friend link and we’ll both get a cheeky little bonus in our banks before you’ve even started! Cashback can even be seen as an income as it gives you money for buying what you were going to buy anyway! Sign up-to Quidco using my refer a friend link and we both get £10 when you make your first cashback claim over £5. TopCashback is another one of my faves and is worth signing up to as the two tend to compete again each other and one may have a higher cashback % than the other. A very quick and easy way to get some cash in your back pocket is to sell your gold. We all have pieces of jewelry we don’t wear anymore; is there anything that’s just collecting dust that in your you can maybe offer to your local jewelers? Hope this list helps you make a quick buck (or two!) would love to hear of any ways you make money fast.. drop me a comment down below! Next Post Cheap things to do in Orlando | Orlando attractions for £20 or less!